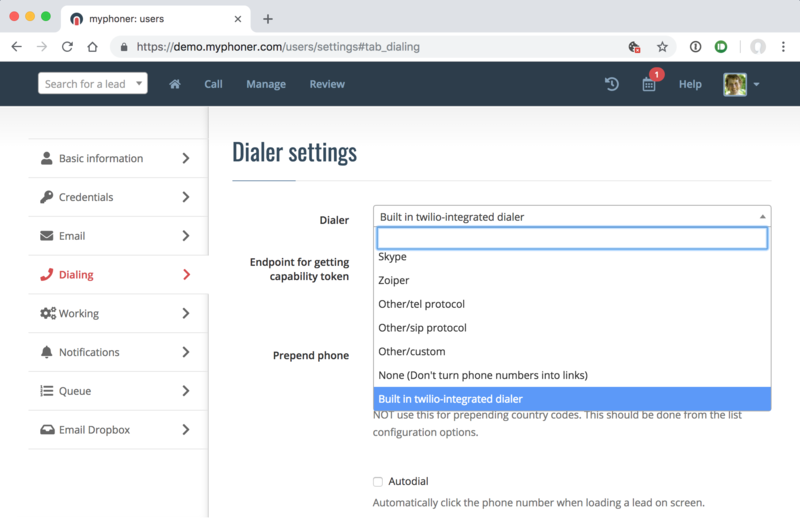 If you want to connect and use your own Twilio subscription to conduct calls in myphoner using our built-in webphone, then read on. 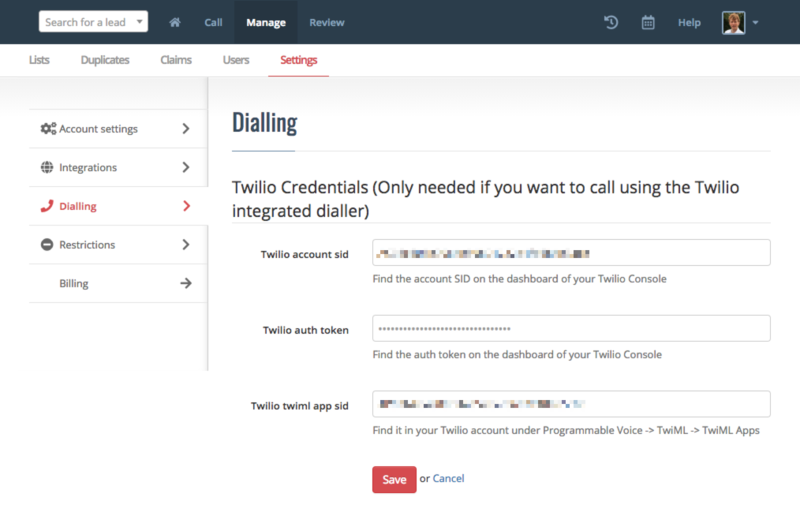 To set up Twilio integration, view the screencast or follow the guide below. From the Twilio menu, choose "Phone Numbers" and either buy a number or verify one of your existing numbers with Twilio. Next choose "Tools" from the same sub-menu (Phone Numbers) and click the red plus to create a new TwiML app. Once created, copy the TwiML apps SID to your clipboard. Now find "Runtime" from the Twilio menu and choose "Functions". 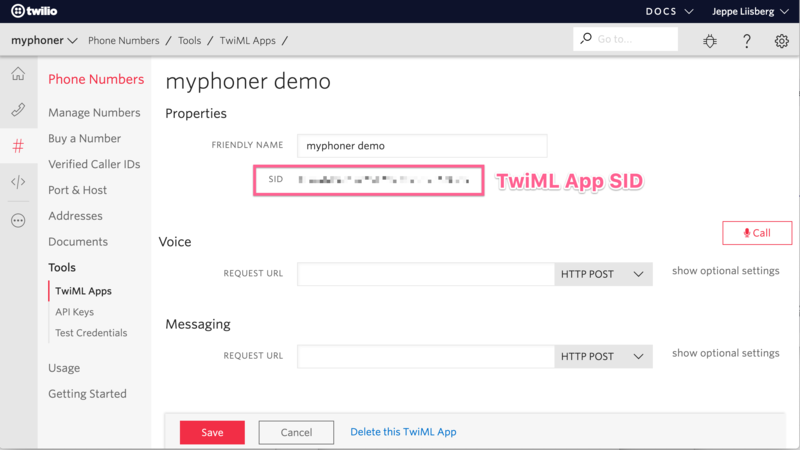 Then click the red plus to create a new function, select "Twilio Client Quickstart" from the templates and enter your TwiML App SID and Call ID that you just created. 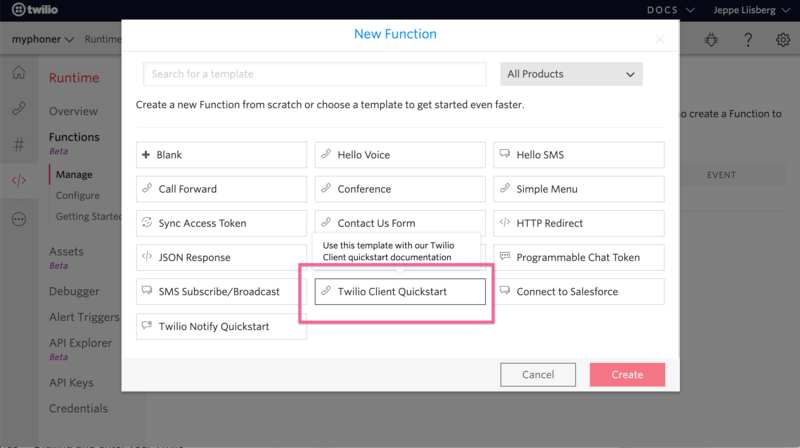 Once done, you should delete the "Twilio Client Quickstart (Capability Token)"-function as we are not going to use that. 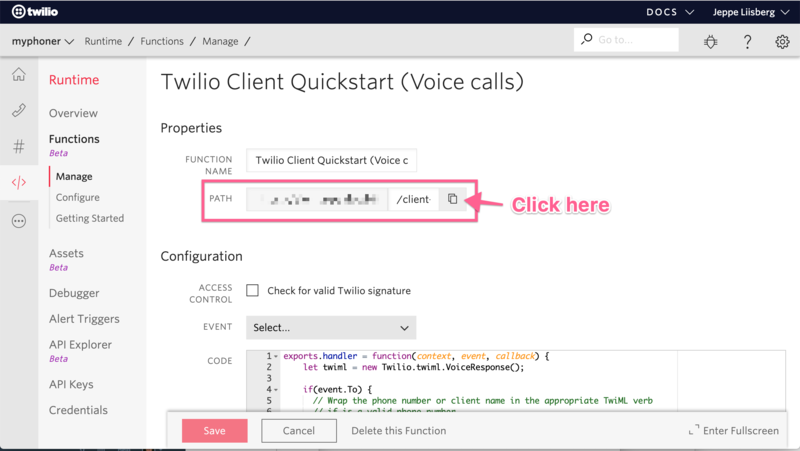 Click on the "Twilio Client Quickstart (Voice calls)" function, and copy the Path by clicking the clipboard icon next to it. 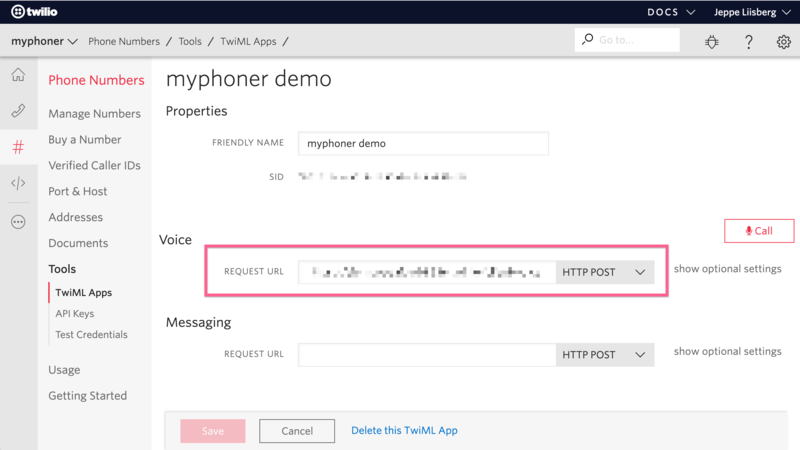 Then go back to your TwiML App (Phone Numbers -> Tools -> TwiML Apps from the Twilio Menu) and paste the path into the "Request URL"-input field. 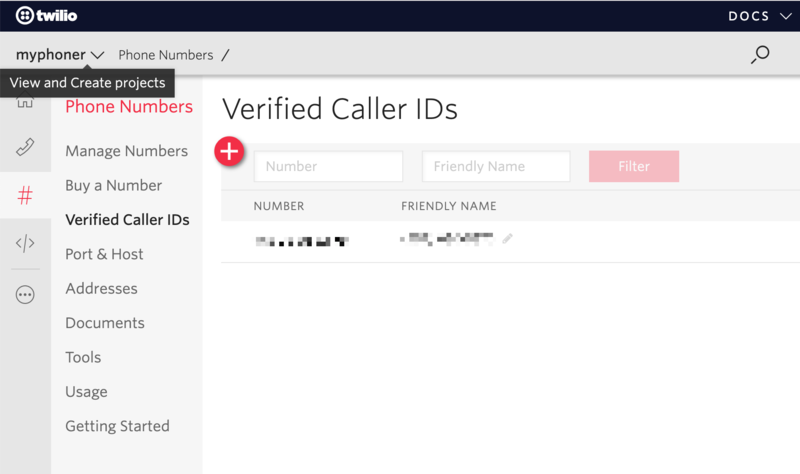 For the last step in the Twilio setup, you need to make sure you have the right Caller ID set in your Voice function, otherwise you cannot call. 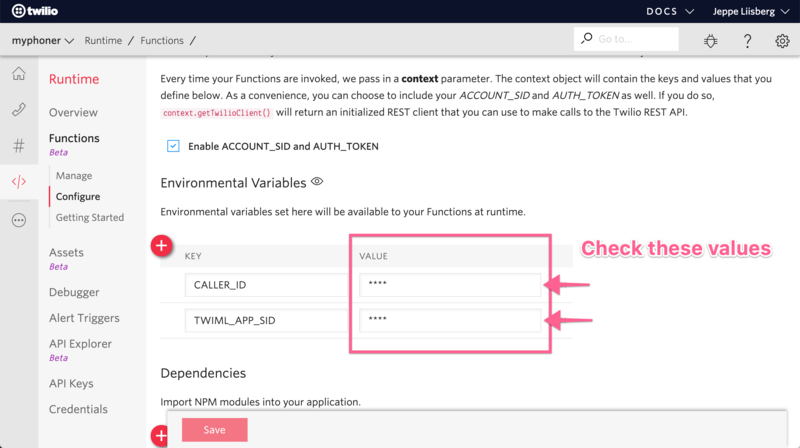 Go to Runtime -> Functions -> Configure and make sure the CALLER_ID and TWIML_APP_SID have the value of your verified Caller ID and TwiML App we just created. Go (or ask your account owner) to Manage -> Settings -> Dialling and enter your Twilio credentials. 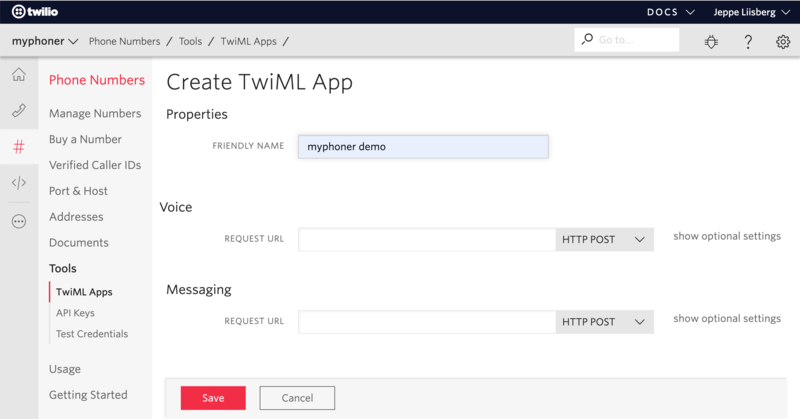 Collect the credentials from your Twilio Console Dashboard and from the TwiML App you just created. Then go to your preferences in myphoner, and under "Dialing" chose "Twilio". That's all it takes. 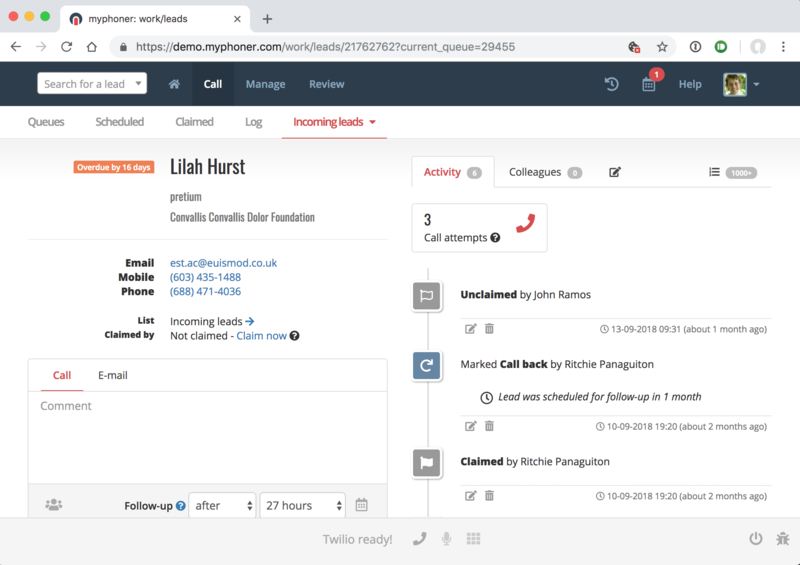 The dialler will appear in the bottom of your window when looking at a lead, and you can dial by clicking the phone number of the lead or the phone icon in the dialler (the latter will call the first phone number of the lead).